Few things make a bride and groom more anxious than thank you notes—there are just so many of them to write out for different gifts, favors, and assistance with the wedding plans. Many couples worry about coming up with wording that is genuine and truly expresses their gratitude. 1. Getting the names wrong. Nothing is worse than writing a thank you note to guests you don’t know very well and spelling their names wrong! If their names aren't clear on the wedding gift card, check back to your master invitations list and contact a loved one who can provide the correct spelling. 2. Forgetting about the children. If a gift comes from a family with kids, be sure to list all of the childrens' names in your thank you card. If their wedding card doesn't include all of them—sometimes guests are informal and write "...and family" or "and the girls"—call a parent or friend for the full list and correct spellings. Every family (especially large, extended families) has an in-the-know relative with all of the details. Photo courtesy of Meg Hamilton of Rodeo and Co.
3. Writing generic messages. Avoid the phrase "Thanks for your generous gift," which sounds like something you would see on a greeting card. Instead, personalize your note by telling your guests how you'll use the gift, if it reminds you of a great family memory or if it was your favorite item on the registry. Honor your guests' generosity with a well-thought out message. You could even take it a step further and thank them for a special moment that you shared with them at the wedding. 4. Focusing on the money. Although your guests may have been generous, it's a big no-no to gush about the cash value in your note (e.g. "Thank you for your gift of $200"). People, not gifts, come first: Focus instead on your gratitude for their support and say how terrific it was to spend time with them at the wedding. You could also share what their gift will be used for (guests LOVE hearing this part), such as the down payment on your dream home or a special honeymoon adventure. Important: If you're using their gift to pay off a crushing credit card debt, keep it to yourself. Guests prefer to hear that they're making a dream come true for you, not digging you out of a hole. 5. Forgetting guests weren’t actually there. Some people send gifts even if they can't attend the wedding. When you're writing thank you notes, don't lose focus and thank them for their presence at your special day when they didn't actually make it (you would be surprised how often this happens!). This can be a tricky one if you have a large guest list and some of the names are unfamiliar to you. Check the card that came with the gift to see if they wrote any hints (as in, "Wish we could have been there!"). If not, then check with your parents or partner regarding that particular guest's presence or lack thereof. If it's still unclear, skip the "presence" part and just focus on their generosity. 6. Ignoring plus ones. Your thank you notes need to address both recipient's names. If you didn't find out their guest's name during the invitation stage, do a little research. Joe Smith's date probably signed the wedding card that came with your gift. If not, it's perfectly fine to call Joe up and ask him for the correct spelling. They’ll both be glad to get the co-addressed thank you note. 7. Inconsistent photos. Create a plan for all of your guests when it comes to inserting your pictures. You can't enclose wedding portraits in some notes but not all; there should be no favoritism towards those who were able to give larger cash amounts. Your loved ones will notice if someone else receives a "real" wedding portrait and they got a flimsy photocopy — or no photo at all. 8. Typing your thank you notes on the computer. While it's acceptable to print thank you notes on a computer, always leave room to handwrite your message. This personal touch is always the best etiquette, because it shows guests that you took the time to write out your thank you notes. It's perfectly okay for either you or your husband to sign both names using the same handwriting. 9. Sending thank you notes too late. Yes, we know that sometimes your bridal portraits can take a while to come back from the photographer, but there’s no reason to take 10 months to send your thank you notes. You may have heard that you have up to a year to send them, but guests appreciate a speedy response. Aim for sending your cards out within two weeks of your bridal shower and two months of your wedding. 10. Resorting to electronic thank you notes. Sure, the graphics on e-cards are cute and it's ridiculously easy to compose a note and blast it out to your guests. However, emails can sometimes get lost or stuck in a spam filter, so don't take the easy way out and steer clear of this over-casualization. Plus, guests devoted a lot of time to your wedding (providing gifts, traveling to your reception, joining in your joy on the dance floor), so devoting a few nights to writing thank you cards is a fine gesture of gratitude. Sharon Naylor is the author of over 35 wedding books, including The Bride and Groom Thank You Guide: A Thoroughly Modern Manual for Expressing Your Gratitude—Quickly, Painlessly and Personally! She has been featured as a wedding expert on top shows such as Good Morning America, ABC News, Primetime and more. 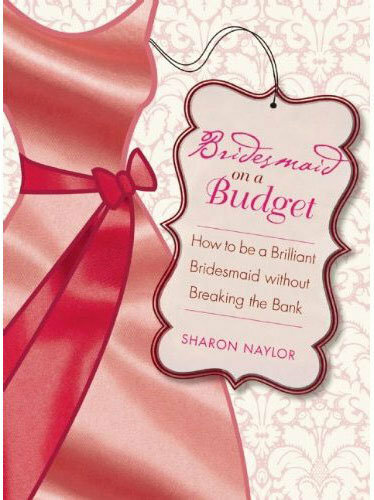 Visit sharonnaylor.net for more bridesmaid tips and advice.